Some of the most outstanding features of a well planned garden are the use of ornamental shrubs and flowers. For instance, spring flowering bulbs such as daffodils, narcissus and easter lily are beautiful to behold. A group of blue or pink hydrangea bushes are a delight to the eye when in full bloom. Azalea and rhododendrum make wonderful displays in shadier areas of your garden. However, what all of these and many more ornamentals have in common is that parts of, or in some cases the entire plant, is poisonous and toxic to people and pets. 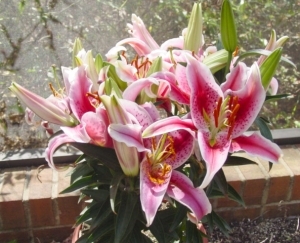 All parts of all plants in the lily family are highly toxic. Lily of the valley plants and flowers are poisonous if ingested. Foxglove and monkshood both can be fatal if any part is eaten. Even the pretty and delicate anemones can be killers. If you have small children or pets, especially inquisitive puppies and curious kittens, please be aware of the possible dangers lurking in your beautiful back yard.